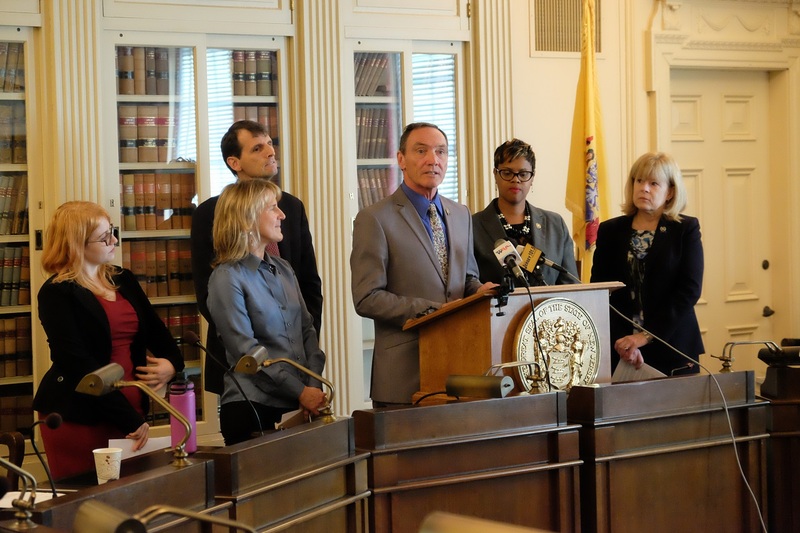 Eager to Help Advance Passage of New Jersey’s Green Amendment? Great! Because we need your help. #1 Write to your Assembly and Senate representatives in the New Jersey Legislature. They need to hear from you. Urge them to sponsor ACR85/SCR134 if they haven’t already, and to be sure to vote for its passage as soon as the opportunity arises. You can find suggested letter language and easily submit your letter online. #2 Sign our petition supporting passage of a New Jersey Green Amendment. This is a great complement to the letter you sent above because once we hit 10,000 signatures, we are going to do a big press conference and announce the high level of support. So please, go to the link and sign our petition, and then get your family, friends and community members to do the same: Sign the petition. #3 Get others to sign the petition – share the link on social media, or print out a copy of the petition and take it with you to work, to coffee shops, to social gatherings or your kids’ events and ask others to sign the petition too. If they don’t want to sign the paper then remind them they can sign online. Once you have a completed sheet be sure to mail or scan and email copies to the Delaware Riverkeeper Network (information will be provided on the sheets). You can print out a copy of the petition to carry around here. #4 Encourage your municipality or county freeholders to pass a resolution in support of the Green Amendment. We have a model resolution you can use and lots of information we can share to support your effort. Be sure your officials send a copy of the passed resolution to their state Assembly and Senate representatives and send a copy to the Delaware Riverkeeper Network (925 Canal St, suite 3701, Bristol, PA 19007, or email to keeper@delawareriverkeeper.org so we can keep track of the building support. And if you would like Maya van Rossum, the Delaware Riverkeeper and author of the book The Green Amendment to come speak to your targeted board of officials about the benefits of a NJ Green Amendment we can arrange that too. You can find a copy of the model resolution here. For a flyer that can help you encourage your municipal leaders or county freeholders to pass a resolution in support, click here. #5 Write an opinion piece to your local paper expressing your reasons for support the proposed NJ Green Amendment. Opposition is building behind the scenes, help us show the politicians being targeted that there is no good choice but to vote yes to the constitutional recognition and protection of environmental rights. #6 Sign Your NJ Organization on to the Organization Petition Supporting Passage of a NJ Green Amendment: Are you a representative of an organization in NJ that is supportive of the NJ Green Amendment and authorized to sign for your organization? If so, sign your organization on here! Once we have a critical mass of organizations signed on, we will invite your organization to a press conference in Trenton to announce and deliver the petition! Environmental Rights Deserve Constitutional Protection! The State of New Jersey is facing a historic opportunity. For decades, the people of New Jersey have relied federal and state legislation to protect their natural resources. And for decades, the laws have let them down. New Jersey water, air, forests, and other special places from the highlands to the pinelands have been allowed to degrade in ways that are harming people’s lives. A Constitutional provision could help change that. In New Jersey the right to free speech, freedom of religion and other freedoms are protected as fundamental rights in the state constitution. But New Jersey has NO constitutional provision protecting environmental rights in the state. Establishing a civil environmental right will drive better government decision-making at all levels of government and will prevent situations or conditions in which land becomes too contaminated, water becomes too polluted, and air too dirty to support healthy lives, including a healthy economy. In order to obtain this highest level of protection in New Jersey, the bill must pass through both houses of the New Jersey Legislature before the people of New Jersey will be given the opportunity to vote, through the following ballot, on whether or not their right to pure water, clean air and a healthy environment will be protected by the state constitution. Right now, we need the Assembly and Senate to support and pass Assembly Concurrent Resolution No. 85 and Senate Concurrent Resolution (ACR85/SCR134) currently before them. Every Assembly Member and Senator needs to hear how important this Environmental Rights Amendment is from their voters. Write to your legislators today! Ask them to stand up for your fundamental environmental rights by co-sponsoring (ACR85/SCR134) and actively encouraging legislative leaders to bring up and pass the bill.